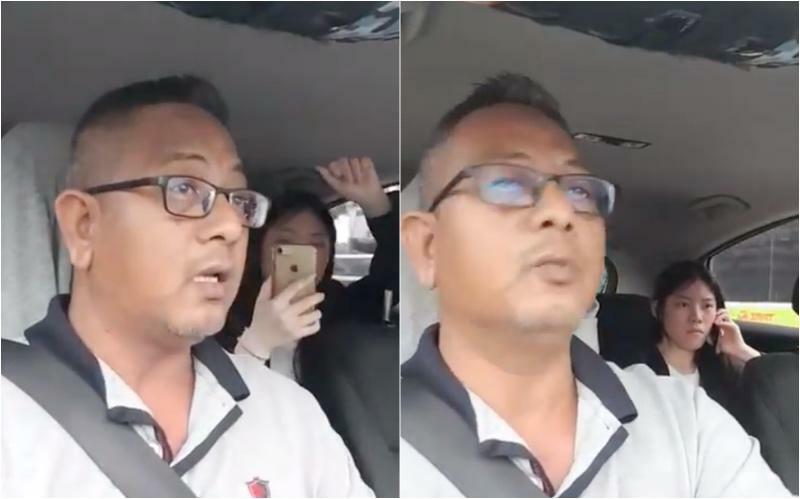 The Go-Jek driver in the middle of the now-infamous viral video between him and a lady who accused him of taking her hostage (and all the memes that followed) is speaking up since the incident happened. 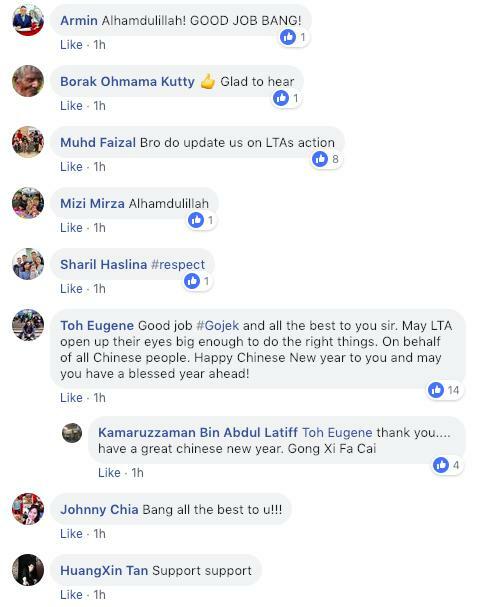 In a Facebook post on the Go-Jek Singapore Community group on Saturday, Kamaruzzaman Abdul Latiff made his first public remarks since the incident, thanking everyone for their moral support. To briefly recap the incident, the lady passenger was surprised at having to pay toll charges during her Go-Jek ride, causing both parties to argue with the driver deciding to drive to the nearest police station to lodge police reports. It has also spawned the hilarious “IS IT BECAUSE I’M CHINESEEEEE?” in which the lady passenger decides to pull out the race card, in probably the most shrill-sounding voice you will ever hear. 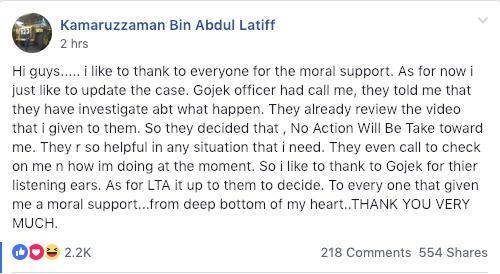 In his Facebook post, Kamaruzzaman said that an officer from Go-Jek had been in touch with him since the video was made public and that the company had reportedly reviewed the video. He was also touched at the support he received from Go-Jek during this time. “They even called to check on me and how I’m doing at the moment, so I’d like to thank Go-Jek for their listening ears,” he wrote. As for the decision that the Land Transport Authority will make on the incident, he said “it is up to them to decide”. His post was swiftly followed up with words of encouragement by commenters from the Facebook group. When contacted about the incident in an earlier article, Go-Jek informed Coconuts Singapore that the matter has been concluded with a “fair outcome” for the driver. This article, Go-Jek ‘hostage’ driver speaks up: Ride-hailing company will not take action against him, originally appeared on Coconuts, Asia's leading alternative media company. Want more Coconuts? Sign up for our newsletters!